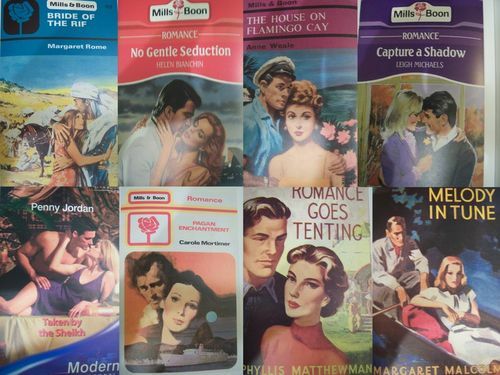 DISCLAIMER: THIS POST (LIKE ALL MY OTHER POSTS) IS ABOUT MY OPINION ABOUT THE MILLS AND BOON BOOKS. IF YOU LOVE THEM; THEN PLEASE STAY AWAY FROM THIS POST RATHER THAN CURSING ME AT THE END OF IT. I AM NOT GOING TO ABUSE THEM; BUT I AM MERELY GOING TO EXPRESS MY VIEWS. Those fans who are still reading this post, then blame this post on my blogger friends N, V and S as they encouraged me to come up with this one. M & B - they are famous for their "fictional" love stories, mushy mushy take on almost everything from a hair pin to toilets to the girl's sandals and what not! All the things, features, characters are usually smooth as silk! Well not literally; but the explanation for each thing aims at one goal only - make it mushy and romantic. And the characters! Oh my; they are so picture perfect. The guy is always very tall, way too handsome with broad shoulders, amazing arms, great body and extremely good at everything he does. The girl is usually the most beautiful lady alive (in all the books with different names), again blessed with flawless complexion, perfect curvy body, silky hair, blue eyes with a tinkle - deep as ocean and very prominent cheek bones (ah, don't we girls dream of this?). In all the books; you will find more not less same characteristics in the characters. Roses and velvets spread all around the book; the perfect moon appears with a soothing breeze whenever there is a love making scene that goes overboard all the time. Mills and Boon books are grandfather of what Sydney Sheldon explains when it comes to erotica; as Sydney Sheldon uses around 15-20 pages on such details; while M & B uses 150 odd pages! The story - The perfect guy meets the perfect girl; they have a perfect rosy rosy love story, their compatibility can give our gods and goddesses a run for their money. Something happens between them and they have to leave each other. And at the end they again meet and live happily ever after! In short; M & B books are like our typical hindi movie stories minus the songs! There would at least be hundreds of M & B around; but almost all of them have the same story. You know their worst impact? They actually make girls believe that there exists such perfect guy and they keep hunting for one until they meet one! 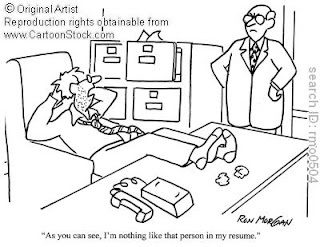 Poor them; for they are unaware that such characters do not exist in real life. Now before you guys jump from your seats and ask me why am I talking about the irony of girls only. The reason is that only girls read M & B. Even if guys do; they do not admit that they read them! Well, they are known as girly girly books; so that's obvious right? Time for disagreement now. Shoot! Our country is famous for its rich tradition and customs. And of course for beautiful women. A saree has always been an integral part of our traditional outfit for women. And don't they look elegant and gorgeous in those beautiful sarees? From a ten year old kid who wears it for school function to an eighty year old lady - saree makes one look simply beautiful. Even I manage to look quite decent in a saree! Ah, that's modest me. But to be very honest for a change; if you see me in a saree, I look quite normal. But the moment I start walking; many eyebrows are raised. Not for my gorgeous looks; but for the way I walk! I cannot walk with elegance no matter in what kind of an outfit I am in. That's why they say; it does not matter what you wear; the thing that matters is how you carry yourself in that outfit. And that's where I fail majorly! Be it a saree, or a salwar suit; I walk like a Zombie in those outfits too. My mother tried buying me high heels so that I would at least be cautious while walking and that might make me look a bit more elegant; but I managed to run in those 5" heels to catch a local train. In the end she finally had to buy my excuse of "heels will cause me a major fracture". But more than my zombie walking style that I do not care about; I am somehow not comfortable in traditional outfits as they make me either way too conscious or a bit too carefree. Weird but that is how I carry them. You can't change a man unless he is in diapers. Such a beautiful day. Now don't open your mouth and spoil it! The key to a successful relationship is sincerity. Once you can fake that; the rest is easy. Real men don't read instructions. I have already done one whole post on the one-liners. So I will not mention many. But back to my topic after going round and round; I have a bit odd taste when it comes to clothes. Second and biggest advantage for my husband is that I do not take time while shopping. I shop when I need clothes. I buy 3-4 tees and a denim or two within half an hour. My stores are fixed; the size does not change and the patience level is almost zero too. But again; it is a task for me to wear a saree when there is some wedding or pooja in the family. A married lady must wear a saree for such occasions and that too; a traditional kanjivaram saree - amazing combination one can dream of! But the compliments do work on me at that time. So I somehow wear it and try to pull it off. People avoid walking with me when I am in a saree. They avoid walking with me when I am at my faded best too; but they cannot get away all the time right? So anybody, fancy a walk with me this Diwali? We see people ranting about how others take them for granted; boyfriend not loving girlfriend as much as she expects (or vice versa); how the price and expenses keep increasing and such. Various rants on various topics - depending on your standard of living. Two middle class women will rant about how costly sugar has become or tur daal prices are ever increasing; while upper class ladies will discuss that their dog's appetite is decreasing. They bought only 10 packets of dog food instead of 15! But one common thing that does not change on the basis of your class or standard of living is the over increasing weight. Each age group and class discuss this. They are worried about those always growing tires all around their body. Some go for a walk, some exercise, some do yoga and some crib. But they are always worried about those calories after they have consumed two samosas or three ice creams. But these people have a logic too behind consuming those extra calories. Their determination wins over their guilt. They do compensate by walking for extra 10 minutes on treadmill; or by doing a few extra crunches. We spend thousands in gym to reduce the calories; but a five rupees samosa makes us forget that thousand completely for ten minutes. Lekin kya kare; these calories do not leave us at all. They always follow us wherever we go; waiting for us to grab a bite so that they can take over us. They are like those psycho lovers whom you cannot ignore until you die; as they are immortal. But our nature is pretty strange. We envy those who are size zero by default. We pity those who are 100+ and sympathize with them even when we are just a ten kgs lighter. But; that's human right? 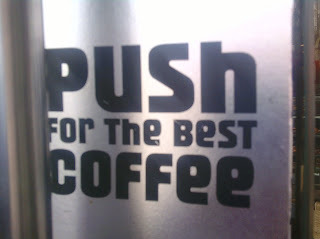 How badly we crave for a cold coffee with a pastry or a cheese pizza while heading to the gym. How those lousy protein shakes get on our nerves every time we have to relish them for "our own good"! Interesting and smart; isn't it? 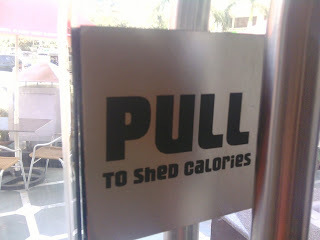 But it will at least motivate you to consume those extra calories and shed them by pulling the door! Wish it was so simple. I am blessed with high metabolism. So you can imagine what I must be going through each time I am among those "khate-pite ghar ke log" physically! Being “the funny guy”, with her sensibilities hidden below layers of sarcasm, wit and petty foolishness, I have never been able to express myself when and where it really mattered. There’s a concept that I believed in “No two woman can be friends for life” and it still is true… Neha is not my friend, she is the light of my blogging-life, a part of the real me, the girl I love… my faraway soul-mate and my blogging-twin. She was born a good five days later than me, which makes Neha’s my kid-sister. She just celebrated her first birthday and now after me, she is about to celebrate the completion of a wonderful hundred posts. But that is talking about Neha-the-blog and not Neha-the-woman who sealed the deal, the deal without any contracts but silent understanding between two hearts. People wonder, people laugh, they joke and they kid but when we say we love the other like we don’t anyone else, but we mean it, every time. Maybe it’s part of growing up or part of discovering facets and shades to an one-dimensional existence but we discovered what a true and real ‘bond’ can entail, can hold, can withstand, can be. My popular blog was outshone by her popular blog and I should be jealous, people perceive. And we? I take credit for Neha’s success and Neha swears by Guria’s. She never understands the charm she weaves, the spell she casts with her ordinary but mesmerizing words and bits of her colorful personality, and thinks I’m just being the notorious, flattering me. She will root more for the Misfit than she will ever for her own blog, like the child she loves more because she didn’t give birth to it. The possessive flavor, the protective nuances, the boundless love and pride made me much more than I could ever hope to be. If our blogs would be our lives, I could have said that she is my better half, my soul-sister, the light of my heart… But blogs are not real, only virtual. So I say all that… ‘she is my better half, my soul-sister, the light of my heart’… in my real life, and I say that about the girl whom I have only read, heard and never seen. But the blind can love too, can’t they? And then I believe the blind see more than the sighted ever can. I dunno if I am half of what Neha is to me… but there’s one thing that comes out of my heart that is as true as heartbeats we live with, is that, I really love you, girl!